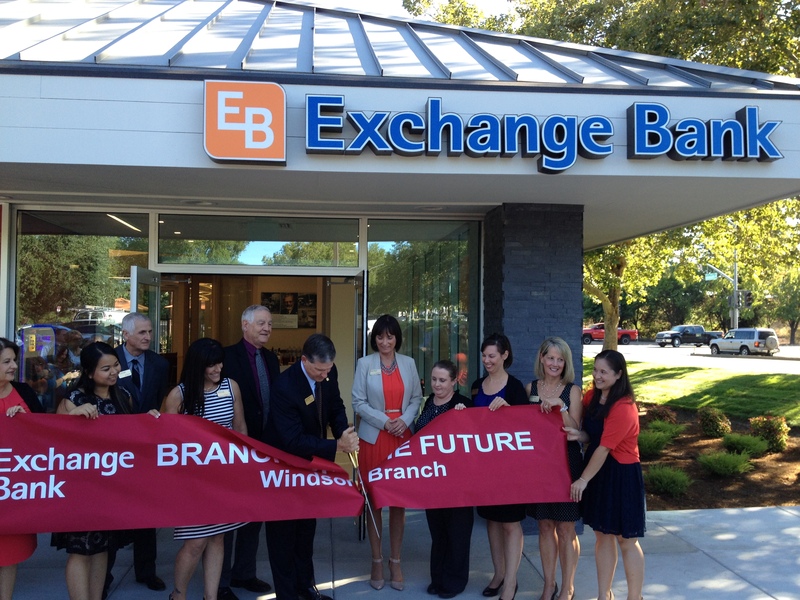 This week the Santa Rosa, California based Exchange Bank held a well-attended ribbon cutting for the grand “reopening” of its Windsor branch. The bank was completely renovated and will serve as the bank’s prototype “Bank Branch of the Future”. The project was designed by TLCD Architecture of Santa Rosa, California in conjunction with DBSI of Chandler, Arizona. Midstate Construction of Petaluma, California was the General Contractor, and Trope Group of Santa Rosa provided furniture specification and installation services. Design of custom furniture was a collaborative effort with DFM Furniture out of San Francisco, who specializes in custom wood casegoods. Surprisingly, the most unusual aspect of the project isn’t inside; a new outdoor patio offers a casual seating area for customers to relax or do their banking online. It is the only known outdoor bank patio according to those at the opening (if anyone is aware of others, we’d be interesting in knowing!). 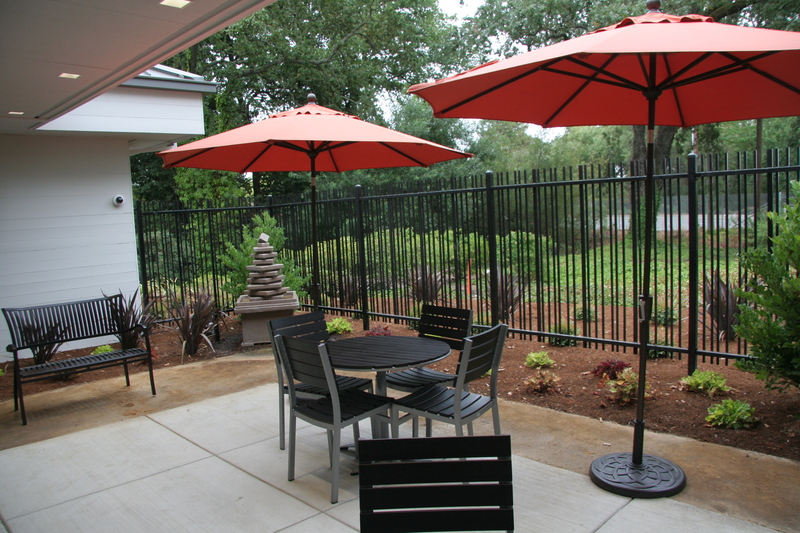 The patio has been a big hit, and is being enjoyed by many of the bank’s customers. A customer arriving at the branch is in for a surprise. They are first greeted by a concierge, who accesses the customer’s needs then directs them to the appropriate employee. Then another surprise; it becomes immediately apparent that there are no teller lines. Instead, customers interact with employees at sit-down semi-private offices, or at informal cash bars. Other important features of the branch include a video conference room where customers can meet remotely with employees at Exchange Bank’s various locations about wealth management, trust services, and other services not provided at the branch. A coffee bar, kid’s area, and lounge give the branch hospitality feel, and make for an inviting environment for customers. Even if you are not yet an Exchange Bank customer, stop by the Windsor branch and check out what the future of banking looks like.